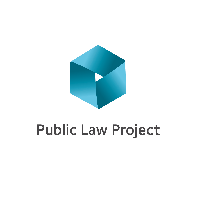 The Public Law Project (PLP) is an independent legal charity, set up in 1990 with the key aim of improving access to justice for the disadvantaged. PLP is unique in discharging its charitable objectives through four distinct strands of work; casework, policy, research, and training. We run three national conferences and an expanding range of subsidised training events. We undertake and publish empirical research, guidance and resources for advisors and members of the public. We employ specialist lawyers to advise, support and act directly for disadvantaged clients (or organisations representing disadvantaged client groups) and to intervene in cases where we consider we can assist the Court to determine an issue in a manner consistent with our objectives. PLP is a small organisation with limited resources, but which consistently punches above its weight. In recognition of our successful work in promoting access to justice, PLP was named as one of the 2012 Guardian charities of the year. In 2013 we were awarded the special Halsbury’s Rule of Law award. We employ ten paid members of staff (who are sometimes supported by volunteers). By far the biggest department is the casework team, which consists of seven lawyers headed by two joint of Heads of Casework (Jo Hickman and Ravi Low-Beer). A trainee solicitor employed by PLP can expect to undertake a broad range of contentious and non-contentious legal work within the public law umbrella. In addition to conducting research, training, policy and advice work PLP lawyers act directly for disadvantaged clients (or organisations representing disadvantaged client groups) wherever we consider their case to be particularly suitable as a test case or where we can otherwise add value. These clients/organisations tend to be based in London, but we do work with individuals across England & Wales, and from abroad as appropriate. We are a low-volume practice, but where we do conduct litigation it tends to be in the higher courts. The work we undertake tends to be complex and challenging. PLP has a contract with the Legal Aid Agency to provide publically funded work in the ‘public law’ category of work. We also conduct project work funded or supported by various charitable trusts and foundations. We attempt to focus our casework strategies and projects on areas of systemic injustice. Most recently a major focus of our project work has been concerned with monitoring (and where appropriate challenging) barriers to access to justice brought about by the Legal Aid, Sentencing and Punishment of Offenders Act 2012.